Sensei Robert “Bob” Graebel of Wausau, WI passed away on March 20, 2014 after a valiant fight against cancer. Bob began studying Aikido in 1966 under Sensei Kennan Purdy* in Wausau, WI. When the Wausau Aikido club became affiliated with the Illinois Aikido Club in Chicago, he studied under Isao Takahashi. Bob continued his training under Akira Tohei**, from his arrival in Chicago in 1972 until his death in 1999. He also traveled extensively in the US and Japan, training under many respected Aikido instructors, including Takeguchi Shihan***, Seki Shihan of Hombu Dojo, and Funakoshi Shihan of Yamagata Prefecture. Bob Graebel held the rank of 4th Dan, and was one of the longest training Aikidoists in the Midwest. *Ken Purdy first studied Aikido in 1953 in Fukuoka under Hideo Okamura and Seigo Yamaguchi of Hombu Dojo. He returned to the United States in 1958 and began the Wausau Aikido Club in 1966. 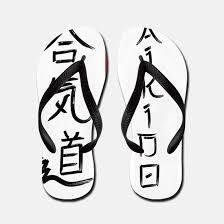 It became affiliated with the Illinois Aikido Club under Sensei Isao Takahashi, a student of Koichi Tohei in Hawaii. 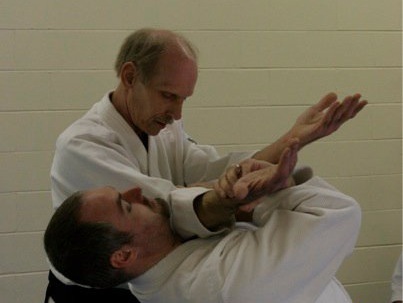 Sensei Purdy is the longest training American aikidoist known to us. **In 1972, Akira Tohei came to Chicago to form the Midwest Aikido Federation. Tohei Shihan began studying Aikido in 1946 in Haga, Tochigi, under Koichi Tohei. In 1954 he moved to Hombu Dojo and attained the rank of Shihan in 1964. He was sent to Chicago to form a new federation as a 6th Dan. During his life, he remained the highest ranked Aikido instructor in the United States. *** Clyde Takeguchi Shihan is the founder and director of Capital Aikido Federation. Takeguchi Sensei is a 7th Dan, and a Hombu-certified shihan instructor. He began his study of Aikido in 1958 in his native Hawaii. In addition to founding Capital Aikikai in Maryland in 1973, Takeguchi Sensei founded aikido clubs in Madison, WI, and Charleston, SC.